This year was no different except for 2 things.. Supply was very low in January, February and March, causing selling prices to jump as much as 20% over last year in some markets. Now, let’s look more closely.. Cue the govt intervention. Ontario brings in a 15% foreign tax for Toronto along with new rent control laws that now affect ALL rental properties in Ontario. And, of course, we can’t forget the Trudeau Federal govt’s further tightening of mortgage rules (unprecedented changes that came into effect last November but really only having impact from March 2017 onwards). THE RESULTS? Just like Vancouver’s 2016 15% foreign tax, it has slowed the real estate market in the GTA. And we are starting to see fewer sales and even prices decline. DON’T PANIC OR MISINTERPRET this. The summer months are always quieter. This is normal. If we study Vancouver after the 15% foreign tax announcement, we see the market went quiet. Sales went way down (media loved to sound the alarm bell and were calling for housing bubble or collapse). But as I had predicted, the market went soft for around 6 months while the media noise went away and the house sales rebounded. Markets outside Vancouver and Toronto have benefited by seeing more active markets and prices increase. We’re seeing fewer listings with ‘No offers until (3 days later)’ come up. Prices are becoming more realistic. This is a good thing for the market. We can’t expect 20% increases. This isn’t sustainable. It isn’t good for the long-term market. Interest rates will drive the market. As long as they remain low, we will have an active and healthy housing market. Trudeau Federal govt rule changes have made it more expensive and impossible for certain buyers to qualify for a mortgage.. this could result in even fewer sales and we could see prices fall more than expected. housing bubble? I’m not convinced of this. I think the demand is very high in major urban centers across Canada. Enjoy the summer. Watch for some price decreases but don’t read too much into this yet. I’ll be watching closely and will report on any factual data. 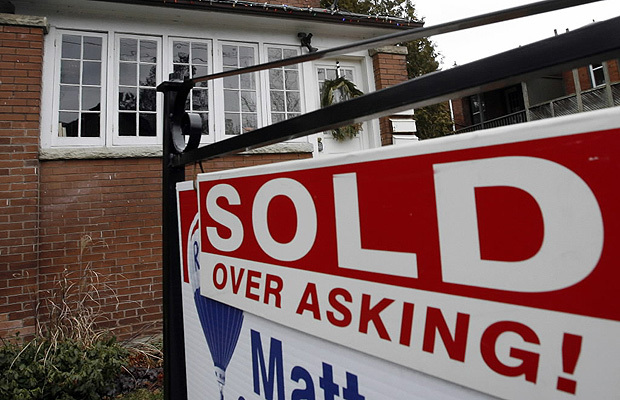 CanadaMortgageNews.ca Housing market is active but will slow in summer as it ALWAYS does..